Thanks to a sturdy design and a lack of moving parts, solar panels tend to do well with little maintenance. 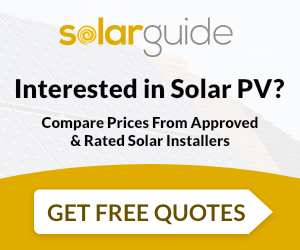 There are however a few pointers you can follow to ensure your solar panel system is working effectively and without problems. After installing your solar system, your installer will likely leave written details of maintenance checks that should be carried out from time to time to make sure that everything is working to requirements. The information left by the installer should include details of the main inverter fault signals and key trouble-shooting guidance. If you have any questions, don’t be afraid to ask the installer as they will likely be more than happy to explain something. Please note that if you believe your panels do need visually inspecting you should always leave this to a professional as carrying out any work on a roof can be extremely dangerous. Here in the UK it’s rare for a homeowner to see a significant drop in their solar panel output due to lack of cleaning. The regular rainfall tends to mean panels stay fairly clean naturally, however in some areas you may see a slightly more significant build-up of grime and dust. There is also the issue of bird droppings, which can certainly reduce output in large amounts if left uncleaned. Our guide to cleaning solar panels has more advice on deciding if your panels need cleaning and if so how to go about it. Our guide on how to tell if solar panels are working correctly has more details on identifying any issues with your system and what to do if you find one. The best thing you can do to ensure your system works well throughout its life is to have a high quality panel installed by a qualified and experienced firm.